Things looking optimistic for NC State basketball fans. 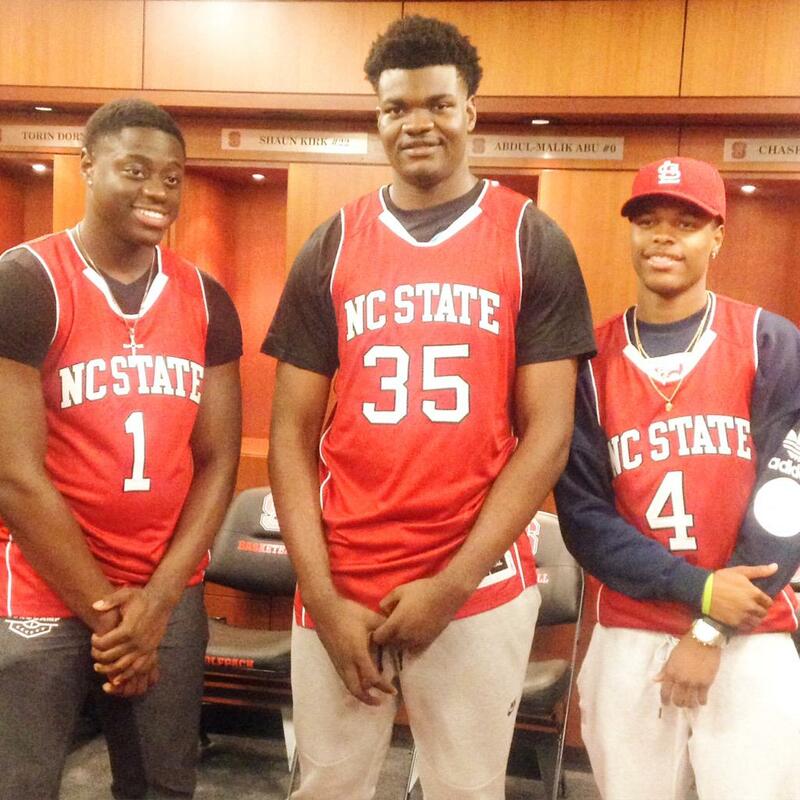 This is a picture of 5 star NC State commit Dennis Smith Jr. with 5 star SG Rawle Alkins and 5 star Center Tim Udoka. Just Imagine what this team would be like if we got all of them. And don't forget that 5 star Center Edrice "Bam" Adebayo is still in the mix for State. Rawle Alkins posted this picture on his twitter. Things have seemed optimistic for the students. Althea show has been arranged with job application writing service for the flow of the quite good and permanent sources for the humans for the future schemes.